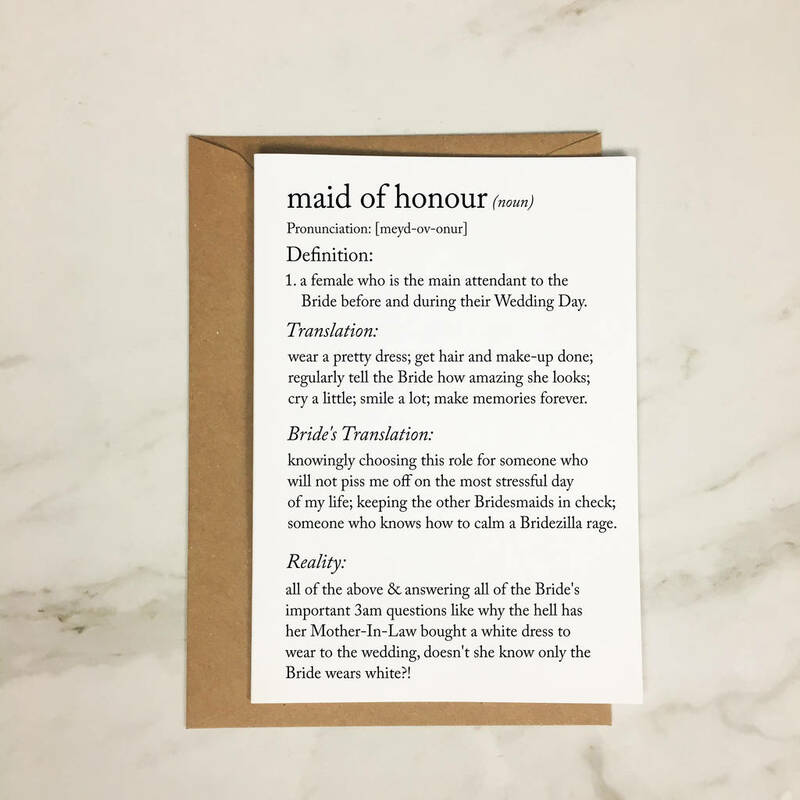 A dictionary definition style A5 Maid of Honour card with a hilariously honest outlook on what being YOUR Maid of Honour will be like! 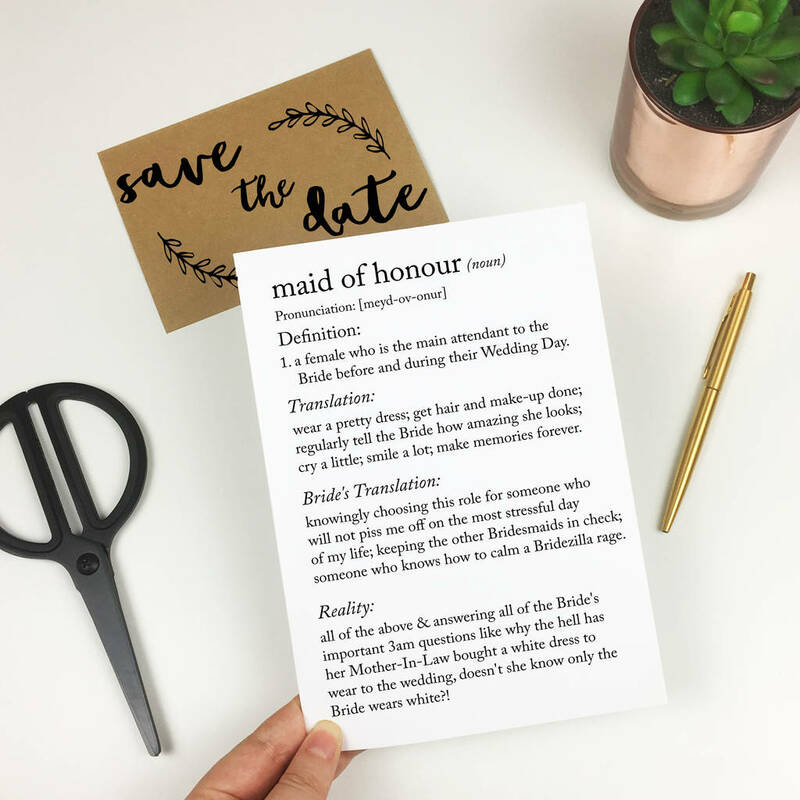 This funny Wedding Card is a perfect way of asking 'Will You Be My Maid Of Honour?' 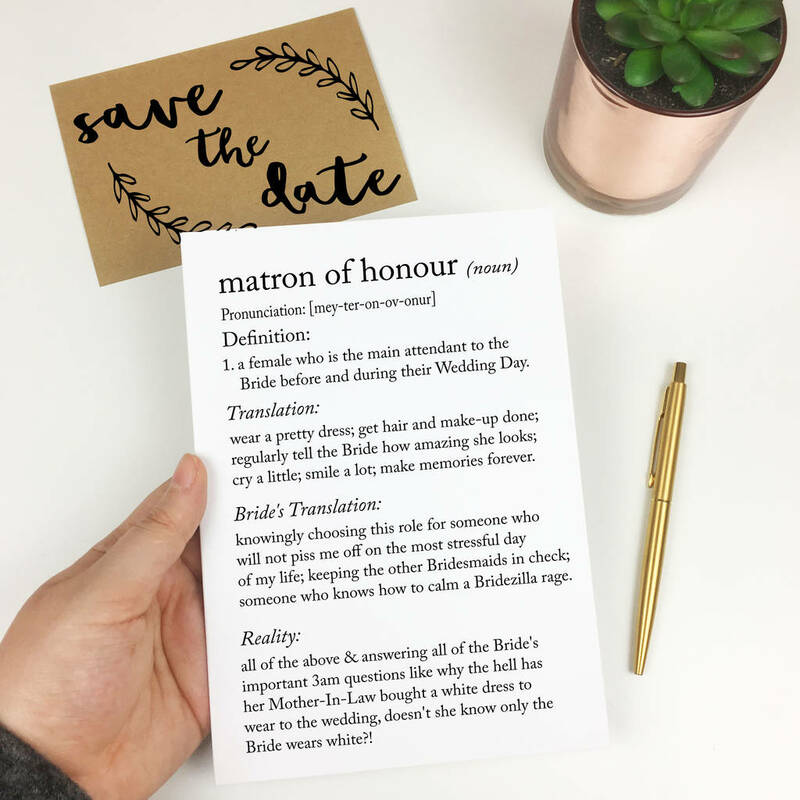 Or you can choose to change to a Matron of Honour version instead. 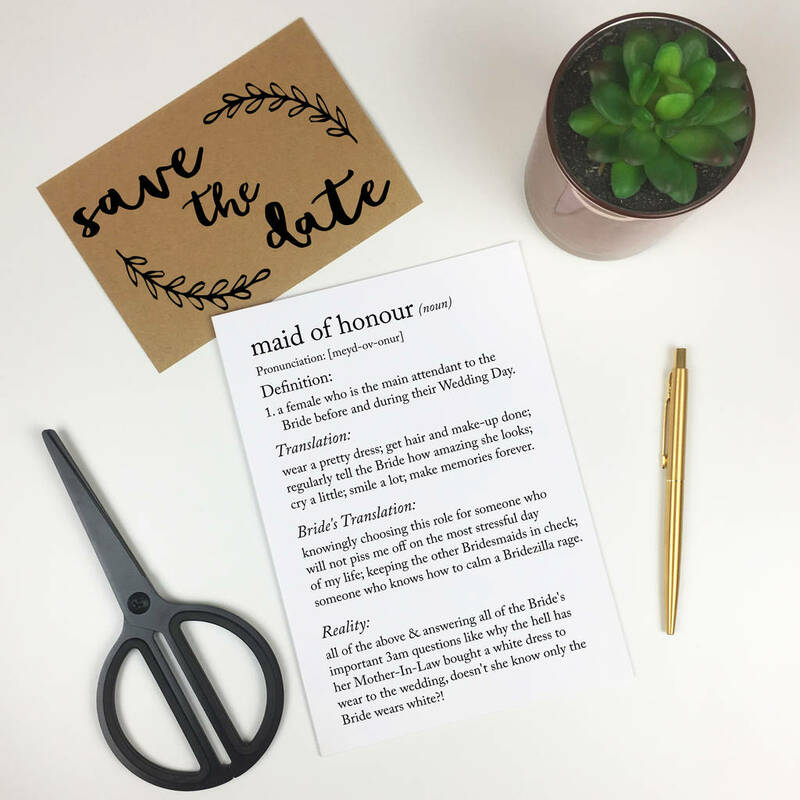 This card is a great alternative to announce who is going to be part of your Bridal Party. Please see the rest of the card range which includes options for Bridesmaid, Bridesman, Best Man, Groomsman & Groomswoman. This A5 size (148mm x 210mm) greetings card comes blank inside for your own witty message and with a 100% recycled brown Kraft gummed envelope. Please double check you have selected the correct answer to the question as to whether you would like Maid or Matron of Honour versions. Please note colours may vary or appear darker when printed depending on your viewing device. This item is printed in house on premium natural card stock. Provided by leading paper specialists, G F Smith, for its environmentally friendly qualities including FSC Certified, Responsibly Sourced, Acid Free & Carbon Neutral; can be recycled after use too. 100% recycled brown Kraft envelope. We are actively trying to be more environmentally friendly and reduce our plastic usage by swapping out the use of plastic cello bags and now use a combination of biodegradable corn starch bags, paper wrappers or completely naked products. All of our outer packaging is made from recycled materials as well. The New Witty is a one woman business who designs, prints, makes & hand packs all products from the Derbyshire countryside. All designs are Copyright © The New Witty. All rights reserved. This product is dispatched to you by The New Witty.